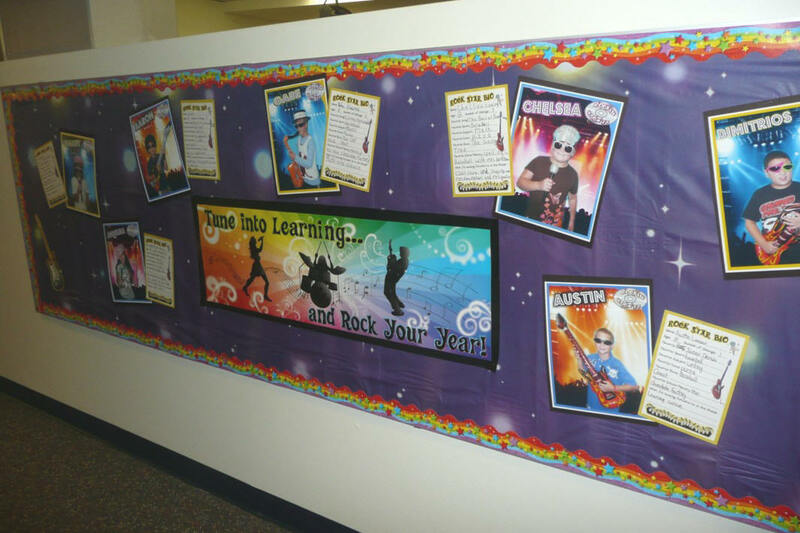 Outside of our classroom, visitors are immediately introduced to the rock stars that they will find inside Rockin' Room 13! 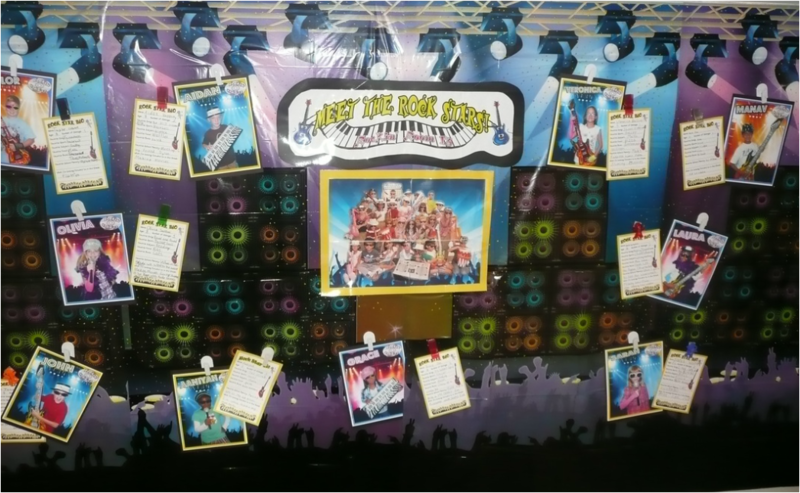 I used scene setters as the back drop for the posters to create a dramatic hallway display. On the first day of school, each student took a picture with inflatable rock star props and/or hats. I then used Print Shop to crop the students' bodies and insert them onto a stage background. 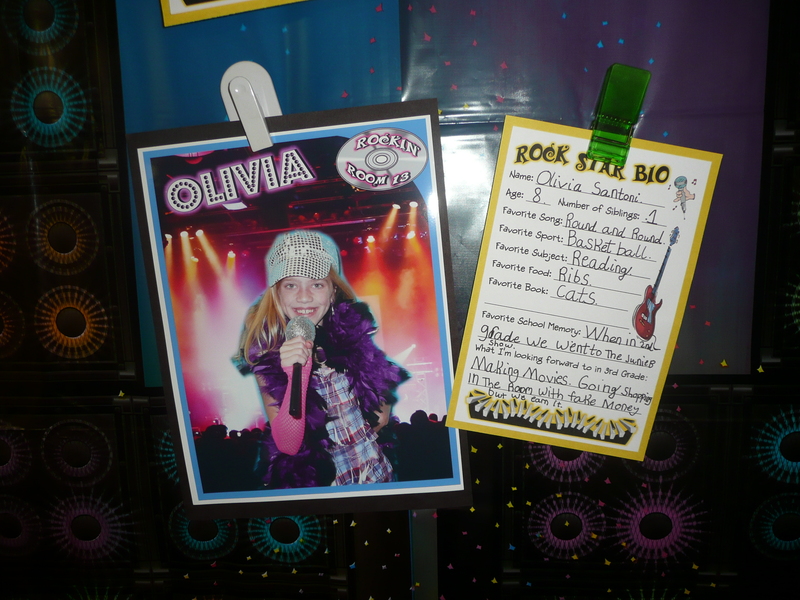 Students also completed a "Rock Star Bio" in which they described themselves and their personalities. If you do not have Print Shop, you can just take students' photos in front of a backdrop. I purchased my rock star scene setters at Party City. My word study center rotation groups are also tied in to our musical theme! 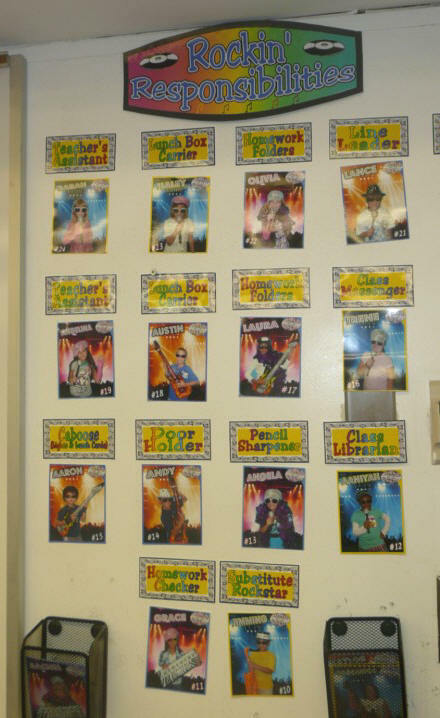 The students' rock star photos are used for the rotating class jobs. 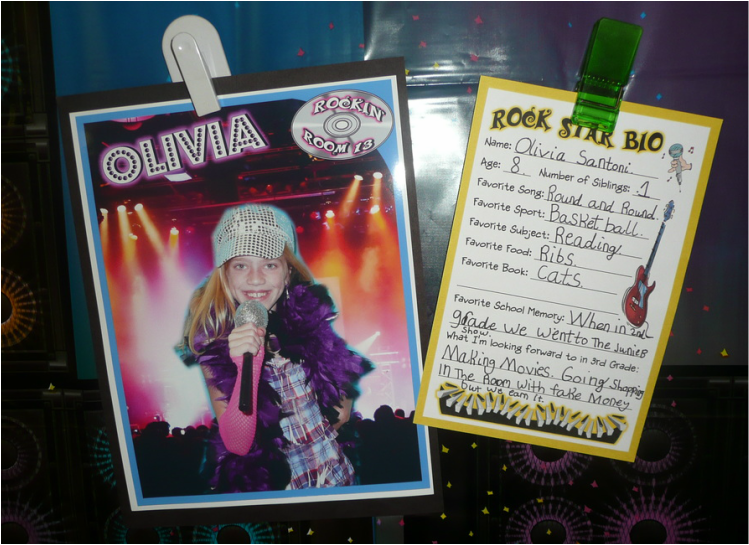 Our student of the week is known as the "Rock Star of the Week" and decorates a special bulletin board in the classroom with photos and other special things. The Rock Star of the Week also brings home a themed sharing sack. 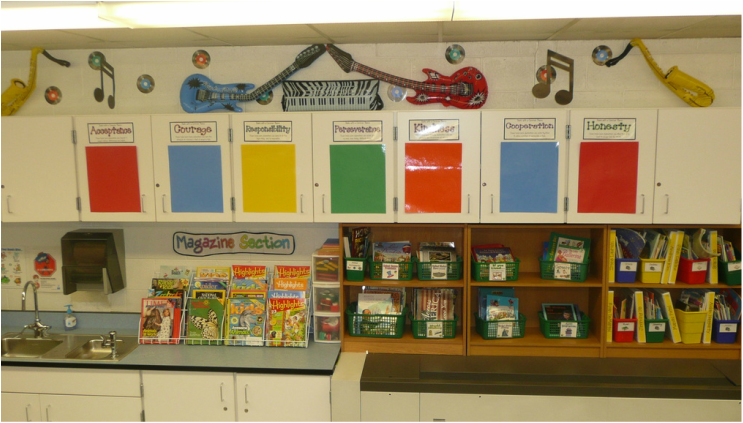 Inflatable instruments and guitars designed by the students are hung from the ceiling to add to the musical decor in our classroom. 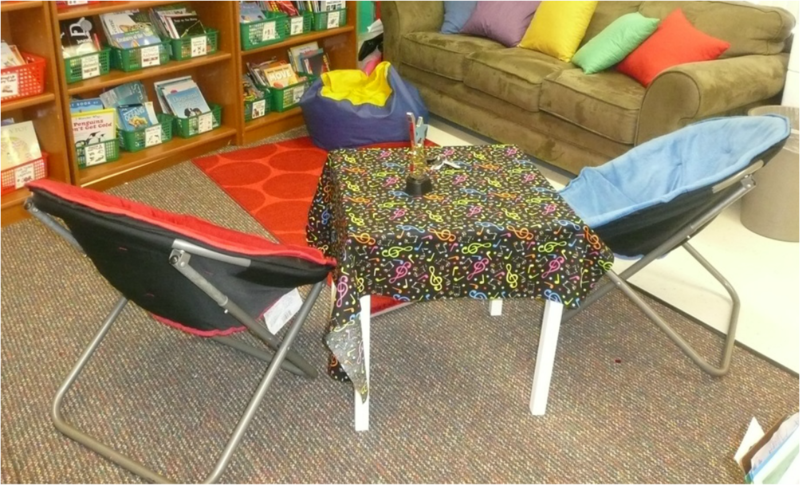 A music note fabric is used as a tablecloth with a rock-star award as the centerpiece. 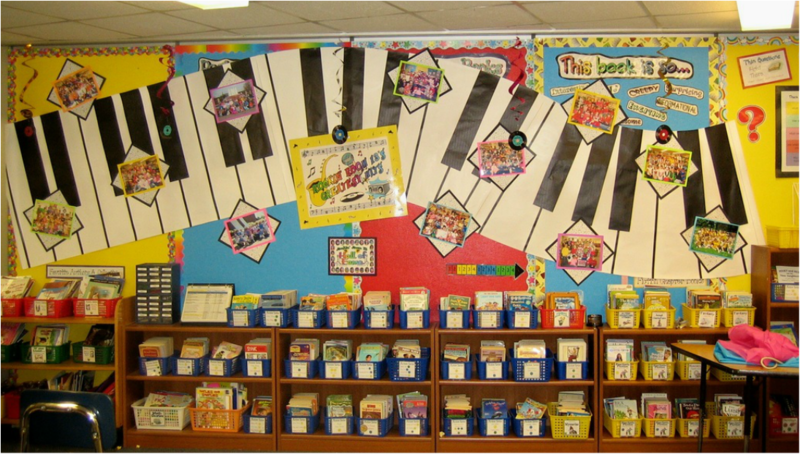 This giant piano was created just for our Spring Open House and decorated with class photos from the school year.